In the 1990s there was an initial attempt to make a Judge Dredd movie with Sylvester Stallone. The film, though it became a cult classic to some people, deviated intensely from the Judge Dredd comic books. Dredd, in a dystopian future plagued by violence and overpopulation, is one of a force of judges; men and women that are judge, jury and executioner. Dredd is a force of the law, without mercy, compassion or even compromise most times, and he was written as a parody of the police state and all the brutality inherent in it during the riots and panics of 1980s America. Dredd 3D, which came out in 2012, nailed everything in the source material spot on. 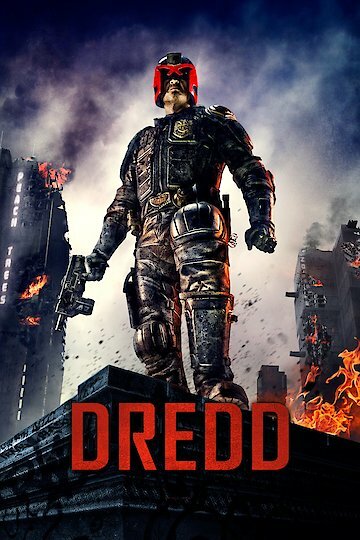 In Dredd 3D the infamous judge is on patrol with a rookie when three murders are reported at one of the massive housing communities that dot Mega City 1. The deaths were a gang killing, but further investigation reveals that the clan of thugs that owns this turf have a bigger secret, and if the judges find out then their racket is bust. So now the judges have to die. Dredd and the rookie fight through floor after floor of desperate criminals, all of them earning death by drawing a weapon on a judge. Dredd 3D succeeds in a number of areas, with action and style primary. However, beneath the glossy veneer the film also delivers the spirit of what Judge Dredd is all about. He's a man with a badge and a gun in a city that doesn't want to be cleaned up. A place where law and order are just words and corruption runs rampant. Judges are brutal because they live in a vicious world where gang lords and drug cartels, as well as mutants and nuclear fall out, has left a world where there's no time for due process. Where the needs of the whole come before the rights of the few. It's a world where Dredd is a faceless figure, whose helmet hides any humanity he might possess behind the rules and regulations that drive every decision he makes. Though it wasn't acclaimed much in the United States, where Judge Dredd comics haven't been as popular over the past decades, it has won a great deal of attention worldwide. Additionally, because it's a day in the line of duty story, rather than Dredd saving the world from some cataclysmic force, it's open and waiting for a sequel. The only question now is whether or not that sequel will be made. Dredd is currently available to watch and stream, buy on demand at Amazon, Vudu, Google Play, FandangoNow, iTunes, YouTube VOD online. What should you go see: Emma Watson's new teen drama? A futuristic action flick? Jennifer Lawrence in a horror movie? Find out here. No Stallone. No Schneider. No camp. It's bullets, explosions, grit and yet another sturdy-looking jaw beneath a helmet. Karl Urban is Judge, Jury and Executioner in "Dredd" Sept. 21 and Lionsgate has (erm, sort of) released the first full trailer. How is "Dredd"? According to critic Matthew Buck, who's already taken in the comic adaptation's U.K. release, it's small for a Hollywood-action blockbuster, familiar in premise, but a satisfying improvement over a previous effort at the character by Sylvester Stallone.